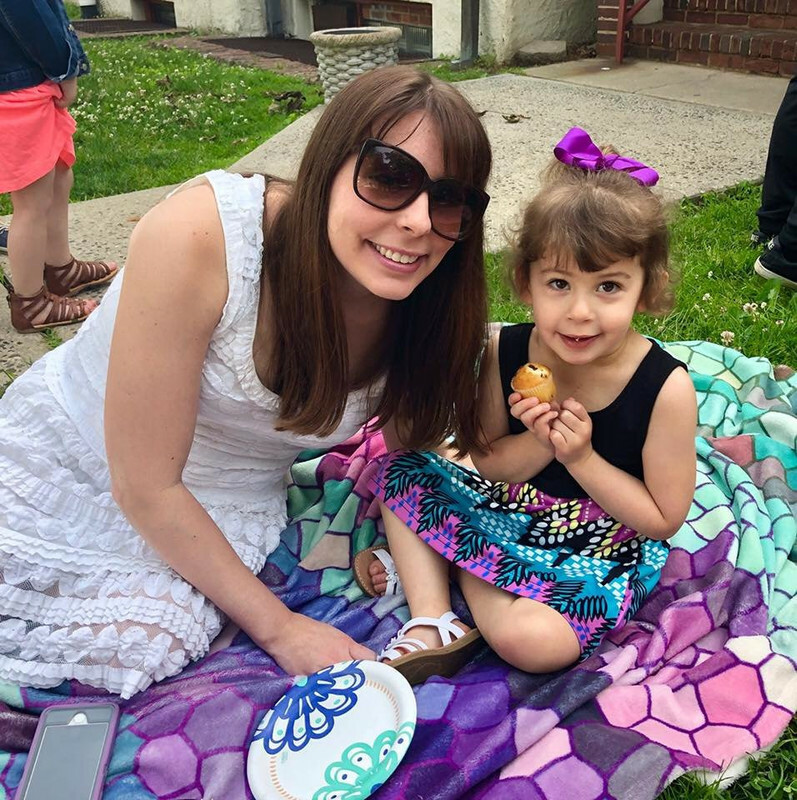 If you've been a long time reader of my blog, than you know I'm very into jewelry. Shopping online is something I frequently do, and lately I've been buying a lot of gorgeous pieces to add to my jewelry armoire. I've had the same jewelry for some time now, and I'm looking to spruce up my collection. My jewelry style would be best described as fun with a classic side. The drawers of the armoire include chunky necklaces and earrings, as well as large bangle bracelets. I can't pass up a cute cocktail ring either! Have you thought about adding some new pieces to your jewelry collection lately? Carolyn Pollack offers the most gorgeous sterling silver and natural gemstone jewelry that you've ever seen. Carolyn designs beautiful sterling silver jewelry that is genuine, wearable, and unique. This is not just fad jewelry, but timeless and classic pieces that will never go out of style. It's always a good decision to wear a sterling silver garnet necklace or turquoise ring that will make you smile. All of the jewelry will make you feel like a million bucks. 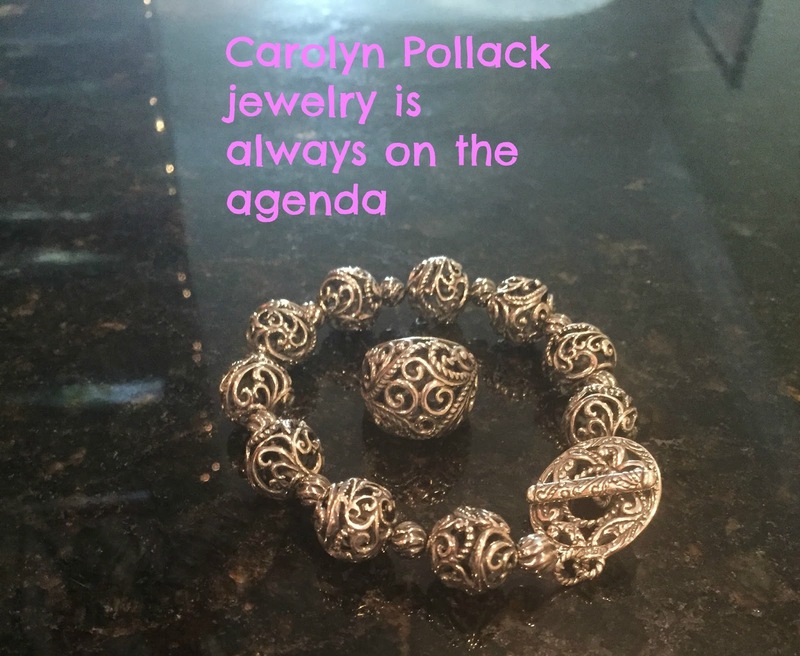 There's always a good time to bring a piece of Carolyn Pollack jewelry into your life. Keep the designer in mind for birthday gifts and also gifts for any occasion. Why not spoil yourself and order a gorgeous new pair of earrings today? I was fortunate enough to receive two gorgeous pieces that I absolutely love. My mailbox contained the Carolyn Pollack Sterling Silver 8" Toggle Bracelet and the Carolyn Pollack Signature Sterling Silver Ring. Before loving Carolyn Pollack, the first Carolyn I loved was my dog Carolyn! It's nice to now love two Carolyn's. The bracelet is absolutely stunning and unlike anything I've ever previously owned. Look how shiny the sterling silver is, it shines magnificently in the light. I think the craftsmanship is out of this world and the filigree beads are a true work of art. Don't you love how intricate the detail of each bead is? It's like wearing a masterpiece on your wrist every single day. You'll notice that the bracelet is made well and has weight to it. It'll surely stay on your wrist securely with no problem. The large and modern toggle is not just an ordinary toggle, but the level of detail and design on it is impressive. When I put the bracelet on, it's slightly big but it's not that much of a problem. The beads are large and in charge and certainly make the bracelet a conversation piece. Some jewelry comes and goes and you can't wear it forever. With this bracelet, you'll definitely be able to wear it for years and decades to come. This timeless beauty will always be a favorite in your jewelry box. Don't you just love the beautiful rope and scroll design that the ring features? I tend to gravitate towards pieces with a scroll pattern, they are just too pretty to resist! The ring is a perfect match with the bracelet and they can be worn together for an elegant look. Of course the sterling silver is high quality and you'll fall in love with it instantly. On my finger the ring fits perfectly and I love how it looks on. I wore it yesterday and actually got a few compliments from my friends. They asked me where did I get such a beautiful ring? It's hard to not resist its beauty. The best part about both of these pieces is that even if you don't choose to wear them together, they still look fabulous paired with other jewelry. Go ahead and wear the ring with turquoise earrings, or the bracelet with a gorgeous gemstone necklace and it will still look fantastic. I can guarantee you that both pieces will be kept safely in my jewelry box to be worn regularly for years to come. If you're looking to spice up your jewelry box, there's always room to add a Carolyn Pollack piece to it. *DISCLOSURE* Thank you to Carolyn Pollack for providing me with complimentary pieces in order to facilitate this post. All thoughts are strictly my own.